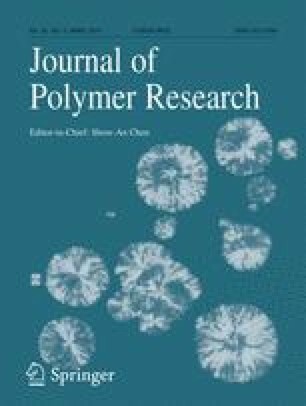 Polypropylene (PP) grafted with p-hydroxy-N-phenyl maleimide (pHPMA) was prepared by melt reactive extrusion in a twin screw extruder in presence of dicumyl peroxide as initiator. The content of pHPMA was varied from 1.0 up to 4.0 wt%. The grafted PP was characterized by FTIR, melt flow index (MFI), contact angle measurements, mechanical testing and thermogravimetric analysis (TGA). The non-isothermal crystallization kinetics of the neat PP and grafted PP were investigated using differential scanning calorimetry. The results showed that the MFI of the grafted PP (PP-g-pHPMA) was higher than that of PP homopolymer. The contact angle of the grafted PP was found to be decreased by increasing the monomer percent up to 3.0 wt%. Further increase of the monomer leads to an increase in the contact angle which may be attributed to the non-homogeneous distribution of the pHPMA grafted chains onto the PP surface. The thermal stability was enhanced by increasing the content of pHPMA. Grafting has not significantly affected either the tensile strength or elongation at a break point. A noticeable change in crystallization behavior of PP matrix has been observed upon grafting.